BRIDGETOWN, Barbados, March 20, CMC – The Barbados government, on Tuesday, announced the establishment of a Business, Labour and Civil Society Advisory Council (BLAC) on Caribbean integration matters. It said that the BLAC is in keeping with decisions of the Caribbean Community (CARICOM) governments and is intended to be a “national forum for discussions among our Barbadian social partners, pertaining to Caribbean integration, in general, and to the agenda of CARICOM, in particular”. The Council comprises representatives of commercial and business interests, labour management organizations, non-governmental organizations (NGO’s) promoting social and economic development programs, and other representation from civil society. The administration said that the BLAC will perform various functions, including initiating Caribbean integration/development proposals for discussion, at both the national and regional levels; discuss and analyse Caribbean integration/development proposals, emanating from CARICOM or from the government, here, in relation to their impact on national sectoral interests. 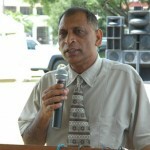 The Council will also develop positions and recommendations for submission to the Barbados government and to the Guyana-based CARICOM Secretariat; as well as make representation to the Barbados government, on matters affecting their sectoral interests; and help to develop and initiate strategies for implementing decisions, pertaining to Caribbean integration/development. “The entire membership of BLAC will meet in a plenary session five times a year. 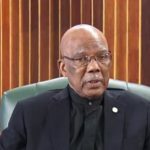 There will be full plenary consultations, before and after each CARICOM Heads of Government Conference and each annual Inter-Sessional Meeting of the Heads of Government of CARICOM. 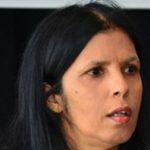 In addition, one annual plenary consultation will be devoted to a consideration of the overall direction, philosophy and program of CARICOM,” the Ministry of Foreign Affairs and Foreign Trade said in the statement, noting that the plenary meetings will be chaired by the island’s ambassador to CARICOM, David Comissiong. It said that in addition to such plenary consultations, specially selected and invited sub-groupings of the BLAC will meet, as necessary, to consult on specific issues and proposed projects.